Why did George Mackay Brown become a Catholic? Religious conversion has always been a thorny theological issue. Christians have reached many different conclusions about how it should be secured: is coercion legitimate or is freely-given faith the only kind that counts? And then there’s sincerity: how to tell the difference between the genuine convert and the temporising dissembler. Such conundrums have puzzled Early Church Fathers, Reformation and post-Tridentine luminaries, and professors in the best nineteenth-century German theology departments but there’s no mistaking the most arduous task of all. How does the person who has been through the mill of conversion recount his or her spiritual odyssey to others? There are narratives aplenty in the Christian tradition and they range across two millennia but surprisingly few are satisfactory. The same old tropes, apologies and strategies crop up time and again and the dispassionate onlooker could easily conclude that, when it comes to conversion, God moves in formulaic ways. The alternative, charitable, and I dare say more robust assumption is that writing about conversion (some aspects of which should presumably be mysterious, even ineffable) isn’t easy. Let’s pity, then, the author who seeks to understand the conversion of someone else’s soul. Hard yards. This is what Ron Ferguson has set out to do and, to add a little extra pressure, his subject is one of Scotland’s best-loved poets, George Mackay Brown. Ferguson’s central and most interesting quest is to explain why GMB became a Roman Catholic. There are signs that GMB’s mind was Tiber-bound relatively early on in life. 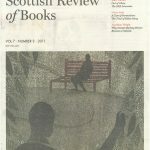 In a letter (previously unpublished) of 1947 the twenty-ﬁve-year old was already declaring that “the pale watery Calvinism of present-day Orkney frankly disgusts me” and that “I could live cheerfully in a Catholic country or in pre-Reformation Orkney if that were possible.” A hefty clue and, as it turns out, a telling couple of sentences. Ferguson argues convincingly that GMB was ill at ease with the Presbyterianism all around him. Rightly or wrongly, he equated it with a gossipy and judgemental culture. The phrase ‘pre-Reformation’ is also crucial. GMB, the man who talked of Scotland as a Knox-ruined nation, was no fan of the great Protestant climacteric and, as is well known, he confected an idealised vision of the country’s past. He adored the tales of ancient Orkney (especially those orbiting around Saint Magnus) and despaired of the progress-obsessed present. Technology, Fer-guson contends, was a species of idolatry in GMB’s book. The TV was useful when it came to checking the football scores: otherwise it was an abomination. This is all convincing but Ferguson is careful not to pin down GMB’s motives too easily. We shouldn’t simply look at the negatives. Catholicism, it seems, catered to GMB’s artistic and social outlook. He saw it as a bulwark of tradition, unity and community (cultural commodities he prized). Better yet, it served as a conduit for his mystical bent and his passion for seeing God in nature. Ferguson adopts a scatter-gun hermeneutic but this is appropriate. Reading certain poems, visiting pretty places, being inﬂuenced by mentors, and snarling at censorious neighbours all played their part in winning GMB over to Rome. This, by any measure, was a many-faceted and utterly heartfelt conversion. The only difﬁculty — and this is quite the stumbling block — is that it may have lacked intellectual rigour. I think Ferguson is correct in opining that GMB was drawn to Catholicism (or his particular understanding thereof) for “aesthetic and intuitive” reasons. It suited his world view. There’s nothing wrong with that per se and, frankly, if such devotional meandering resulted in such fabulous writing then we really shouldn’t grumble too loudly. And yet, on a different level, there is cause for concern. GMB was a poet, not a historian or a theologian, but his “faith journey” was sometimes marred by laziness. His understanding of Scotland’s religious past was sketchy, he was apt to romanticise earlier eras, and his habit of stereotyping both Catholicism and Protestantism isn’t hard to spot. There was no coercion involved in GMB’s conversion. Augustine wasn’t at his back comparing wayward Christians to horses and mules that “resist with all the force of bites and kicks the efforts of the men who treat their wounds in order to cure them.” There was no one shoving him towards spiritual health. But perhaps there were a few too many ounces of convenience. I have no axe to grind when it comes to adjudicating leaps from one faith to another. Leap in whichever direction you please, but it shouldn’t just be about mood and sensibility. Intimate, accurate understanding of the history and the theology ought to play a signiﬁcant role. It could be argued that, on this score, GMB often didn’t measure up. Not that any of this dents his genius as a poet and, as luck would have it, Ferguson moves beyond the spiritual and tells us all about his friend’s encounter with the ﬂeshly realm. This book isn’t positioned as a standard biography or a work of literary criticism but it scores highly in both regards. There are several highlights. It was nice to hear about GMB the cub reporter at the Orkney Herald. He spat venom from time to time and admitted that “I have a peculiar and diverse gift of being able to sneer at people in print.” This will be a revelation to those who only know the mature, gentler GMB and subscribe to the “the received notion that [he] was always in love with Orkney.” Even more intriguing is Ferguson’s account of GMB among the literary superstars on Edinburgh’s Rose Street. They were all there in the pubs — Sydney Smith, Norman MacCaig, Hugh MacDiar-mid — and Ferguson describes it as “a boozy, male-dominated, Scotch-fuelled, ﬂirtatious, strutting scene.” Something of a challenge for the shy GMB but perhaps even worse for Stella Cartwright, the woman who was GMB’s ﬁancée for a little while. Ferguson describes her as the “trophy some of the leaders of the Scottish Renaissance fought over” and he is heartily tired of the way in which she is conceptualised as a willing muse. Her relationship with GMB seems to have been tender but, for most of the time, she was treated in “sexist and exploitative fashion” and Ferguson is repelled by the “romanticising of a vulnerable young woman.” This is an important corrective. Ferguson does not solve the GMB riddle even though he knew the man well. He leaves many things in ﬂux but that’s as it should be. There is great affection here but also, nine times out of ten, impressive critical distance. Ferguson suggests, for instance, that GMB was more scarred by harsh criticism (and he endured a fair amount) than he liked to admit. He concedes that GMB sometimes didn’t do his homework before launching into his modernity-bashing tirades. This makes for a rounded portrait. It works well as a biography because there is a ﬁrm narrative pulse that guides us through the major events of GMB’s life. It is also quite savvy when it comes to exploring GMB’s writings: Ferguson is very good at identifying themes and inﬂuences. There are a few extended, errant moments, however. Ferguson devotes a lot of time to GMB’s fondness for the bottle and his depressive episodes (real or artiﬁcial: the jury is out). This is to enter perilous territory. Taking on the relationship between suffering, alcohol and artistic endeavour is brave but often fruitless. There are potential revelations — lots of extracts from GMB’s correspondence with Stella, for instance — but its impossible to know how far we should trust these scribblings. To me, they seem self-indulgent, a tad artiﬁcial and, ultimately, distracting. Better, perhaps, to look at the work and, as the saying goes, to avoid meeting your heroes. This option isn’t open to Ferguson. He was GMB’s pal. It’s therefore to his credit that he has produced such an even-handed study. What should we do with the great poet of Orkney? Read his poems and forget about the rest would be my advice. Many silly things are written about GMB. Some dismiss him as a small-minded Luddite. Some laud him as a greater poet than he was. Both routes are absurd. We should be satisﬁed with the fact that a puzzled, puzzling man sometimes soared. And if, to break the rule I’ve been trying to impose, you insist upon plotting his spiritual trajectory I’d point you (and Ferguson would, I think, agree) towards Gerard Manley Hopkins: in GMB’s phrase “one of the ancient smelters and smiths of poetry.” There is a path between GMH and GMB. Both saw the wonder in the ordinary, both challenged us to revise our poetic sense, and both wrote some spectacular verses and a fair amount of dross. This way lies authenticity.